www.racerxonline.com By Aaron Hansel. Jason Weigandt also contributed to this article. 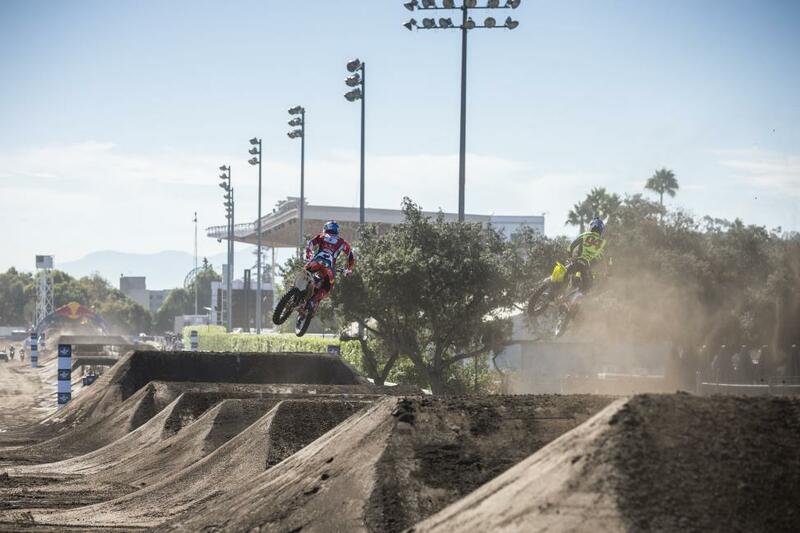 Both Monster Energy Supercross and Lucas Oil Pro Motocross are long gone for the year, but that doesn’t mean the stars of racing have completely disappeared, and today some of them could be found shining brightly at the second annual Red Bull Straight Rhythm at Fairplex in Pomona in Southern California. 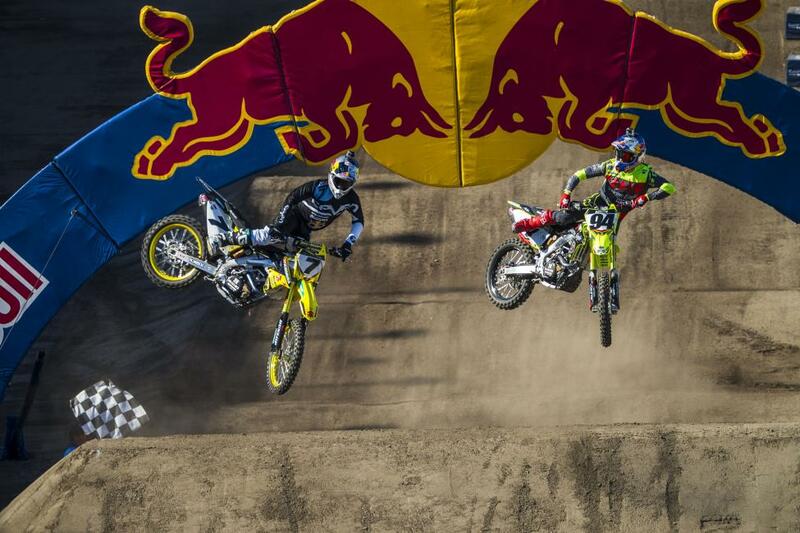 By now you know that brothers James and Malcolm Stewart swept the event in the Open and Lites Classes, but just like any race, there was much more to it than who took the checkers. Let’s dive into Saturday Night Live for a behind-the-scenes look at what happened this afternoon. This year’s track was quite a bit different from last year’s, and that was done on purpose, as the Red Bull folks wanted the race to look totally different. It was also much more technical, with steeper jump faces and landings. However, after Friday’s qualifying and practice, the builders tamed down some of the takeoffs and landings, and also smoothed the transitions to open it up a bit, although Shane McElrath said afterward he still felt the track was still more technical this year than last. Overall, the feel of the event was much different, not only with the redesigned track, but also with the move from the drag racing track on one side of the Fairplex to the horse racing track on the other side. For the fans, the horse racing track offered shaded grandstands, which was certainly nice, as temperatures hit the high 90s during the event. Last year Stewart won the race over Justin Brayton, but this year’s addition of Roczen and Dungey added quite a bit of hype. 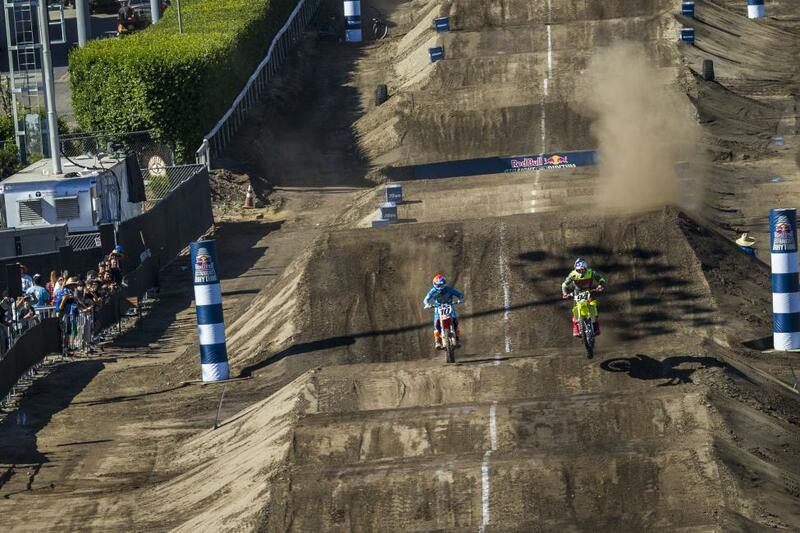 And those two lived up to it by knocking Brayton back to fourth in this year’s event, and challenging Stewart. Dungey squared up with him in the semifinals and the two battled down the entire track, with Dungey pulling out a last ditch charge through the tabletops and rollers near the finish to edge ahead of Stewart and take the win. It was the first race Stewart had ever lost in the event. 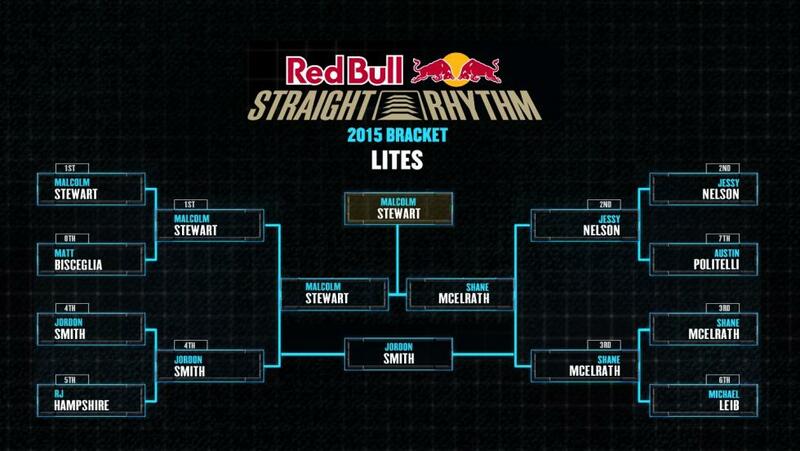 Stewart came back to beat Dungey in the next two. They appeared even through most of the track, but Stewart had a big edge in one spot—he jumped over a dragon’s back with more speed than Dungey, allowing him to enter the whoops much faster and he used that to pull away. It was classic Stewart, just pushing the edge a little further. Similarly, Roczen was dueling right with him in the finals, and Stewart was a little quicker over the dragon’s back and faster into, and through, the whoops. Roczen wasn’t the only racer to end his run against Stewart early—Hansen pulled off early too, albeit for different reasons. “I over jumped and cased into that fourth jump and it was over. I’m not trying to get TV time running forty seconds behind, I didn’t want anyone even looking at me after that. It was pretty embarrassing today," Hansen toldRacer X afterward. 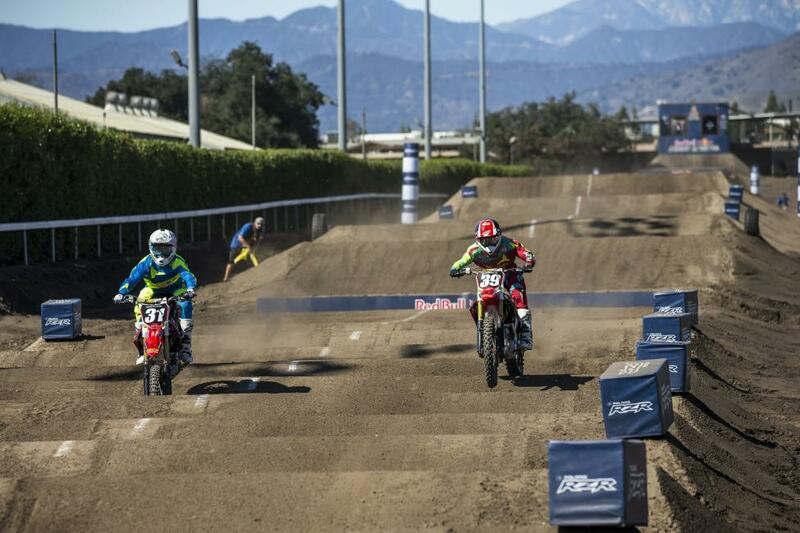 This was Dungey’s first time racing Red Bull Straight Rhythm, and although he finished third, he came close to advancing to the final, beating James Stewart in the duo’s first race, but getting edged out in the second two. In Lites action RJ Hampshire had a scary crash when he went down hard in the whoops. He was motionless on the track for what seemed like an eternity, and later we learned it was because he was unconscious for several minutes. Fortunately early reports indicate no broken bones, and he was taken to a local hospital for a CT scan. It was a day he’d probably rather forget. The good news is, he probably already has. At the complete opposite end of the finishing order was Malcolm Stewart, who had a clear edge on the competition today. 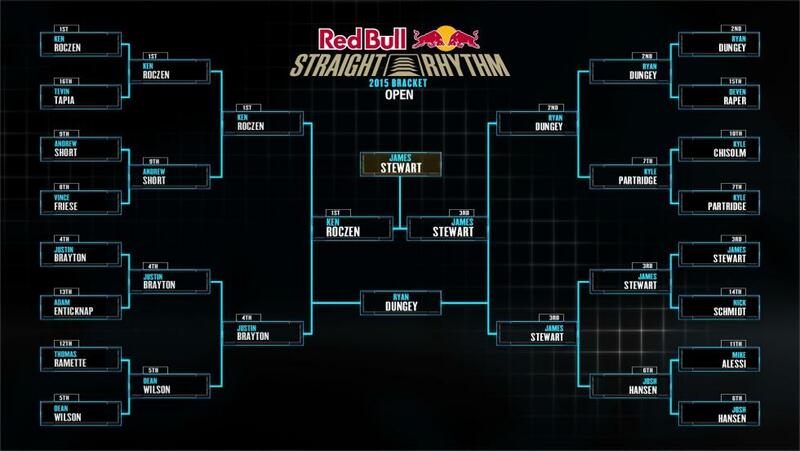 In fact, before heading into the finals, Stewart told the crowd in an interview that he was calling himself for the win. Well, you know what they say, it’s not bragging if you back it up, and Stewart definitely did. Shane McElrath handed Stewart the win in the first race with a slight mistake, but even with a much better run from McElrath in the second race Stewart still came out on top, making it a clean Stewart sweep on the day.